Here is what is streamed by each network:Big Ten Network — Linear channel available on BTN app with cable and satellite provider authentication. CBS Sports — SEC football, selected college basketball games, NCAA Tournament, some PGA Tour events. 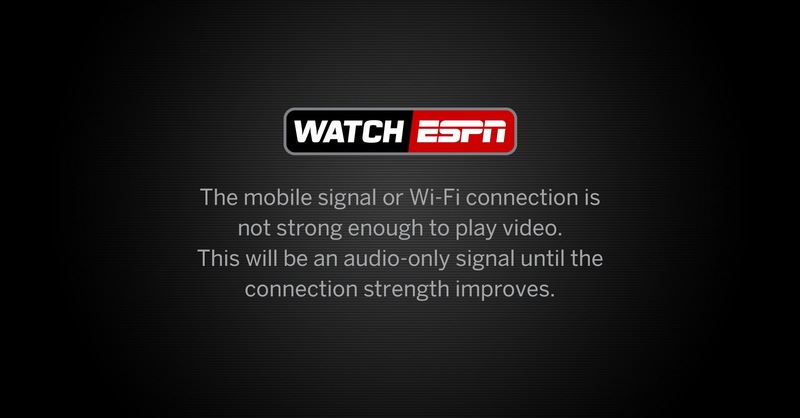 ESPN/ABC — Linear ESPN, ESPN2, ESPNU, ESPNews, ESPN Deportes, ESPN Goal Line, Longhorn Network, SEC Network, SEC Network Plus on WatchESPN. Also has online exclusives on ESPN3 (college sports, cricket, soccer, tennis). Fox Sports — Linear Fox Sports 1 and Fox Sports 2 channels, College Football, College Basketball, Big East sports, all Fox Sports broadcast programming, MLB, in-market NFL games, NASCAR, some Fox College Sports events. Golf Channel — Linear Golf Channel is available on GolfChannel Live Extra and NBC Sports Live Extra. MLB Network — Limited streaming. It’s two postseason games were available on MLB.TV with cable or satellite provider authentication. NBC Sports — Dan Patrick Show, Formula 1, IndyCar, MLS, NASCAR (2015), NHL, Notre Dame football, Olympics, PGA Tour, Sunday Night Football. NBCSN linear channel not streamed. NFL Network — Linear channel on NFL Mobile tablet app with cable and satellite provider authentication. Mobile streaming on Verizon phones. Tennis Channel — Linear channel streamed on Tennis Channel app with authentication. Subscription required for events not televised live. Universal Sports — Linear channel streamed on Universal Sports app with cable and satellite provider authentication. Olympic sports not televised streamed online.